The login page offers an option to login with ClaimID, which has ceased operations according to the notice on their site. Are there any plans to remove the ClaimID button from the login page in the near future? I guess existing users should still be able to login somehow. Thanks for reporting - I have now removed claimID as an OpenID provider from our codebase. This will be out in the next build rev 2013.12.13.1227 (meta rev 2013.12.13.1759). Not the answer you're looking for? 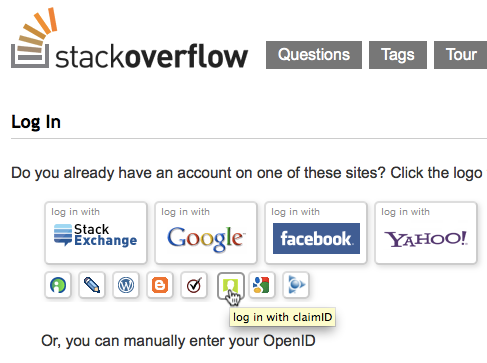 Browse other questions tagged feature-request status-completed login openid .